There’s something satisfying about getting sidecar driving right. Well, why not? Whether you like combinations or not, you can’t deny this is an impressive and attractive example. And if you aren’t familiar with the driving techniques required by a lop-sided vehicle, there can be few better outfits to start on than one where there is adequate power to keep on the move, and sufficient weight to keep all three wheels planted when cornering. 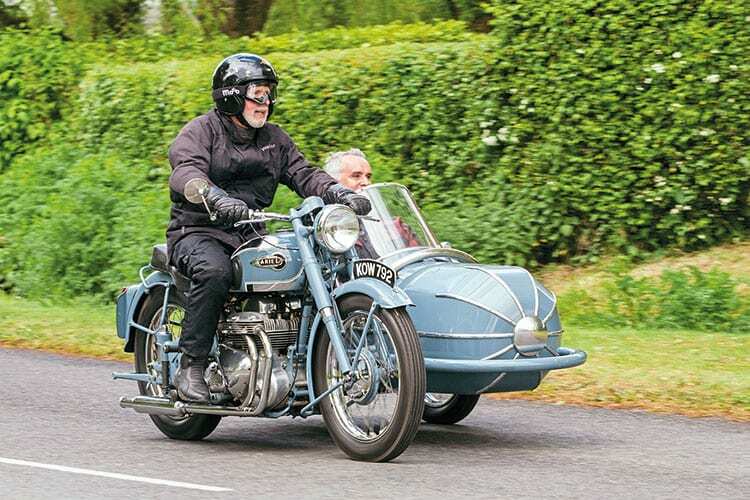 Jim confesses to having had little previous sidecarring experience (well, who has nowadays?) but shortly after taking delivery he was whizzing about with confidence, and the outfit has recently covered more miles than in the several preceding years. Previous owner Roy Cox dropped by as we were photographing the combination, and explained he restored it in the 1980s, but had reluctantly decided it was no longer needed. Read more News and Features in the October issue of TCM – on sale now!